The Canon 5DS R is my “go-to” camera for Real Estate photography. This 50.6 megapixel camera affords you all the detail you could ever want when capturing rooms and detail shots of interior spaces. I find the 50.6 megapixel files most helpful when shooting exteriors and I need to crop in tight to avoid crossing onto private property to get the shots of the properties I am paid to photograph. Like all Canon’s professional series of cameras and lenses, it is rugged and durable. The 3.2” rear LCD screen is bright and crisp when shooting in Live View mode. Using the 16x zoom-in feature allows you to check critical focus to make certain that images are tack sharp every time. 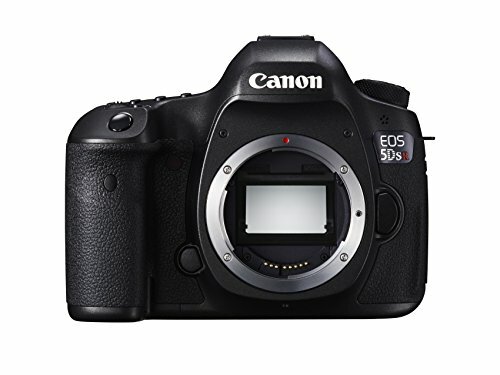 The Canon 5DS R also has an easily accessible internal level that allows you to accurately and precisely keystone your images so that walls do not tilt up or down and your horizon line remains level in all your images. This is a key feature in professional Real Estate and Architectural photography. The only drawback that I find in the 5DS R is in the High ISO performance. 50.6 megapixels is a TON of pixels to fit in a sensor that is the same size as any other Canon Full Frame sensor. All of those pixels comes at a price: higher ISO performance. For Real Estate photography I typically shoot between ISO 100 and ISO 400 and I don’t have any issues with grain, noise or banding. When you go into the 3200 and 6400 ISO range you may not be as pleased with the look of your digital files. This is definitely not a one size fits all camera. It has it’s sweet spot for studio use and anywhere you can have control of your light enough to allow you to use low ISO’s. I shoot 99.9% of my images for real estate on a solid tripod with a high quality tripod head so keeping the ISO low is not an issue for me. Just be aware that if you are looking for one camera body to shoot a wide array of subjects from night time sporting events to weddings, landscapes or wildlife this camera may not be the best choice. If you are however, looking for a solid studio camera for portraits, product photography and still life images, this camera may suit you perfectly. Want more information or have a specific question or comment that I can help you with? Feel free to comment below and I’ll do my best to help you out. Happy Shooting!